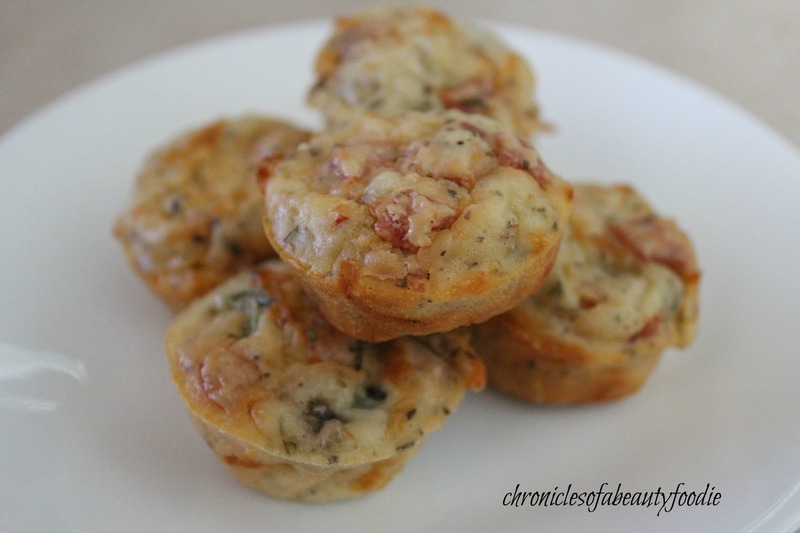 With the holidays and football season here, I’ve been looking for new finger food recipes for all the friends and family get togethers. It’s always hard to find something that’s easy to eat, will travel well, and still taste good 30 minutes later (to accomodate for travel time). In my hunt, I came across this Rachael Ray recipe. When I found this recipe, I thought it could be perfect. Plus, who doesn’t love pizza? 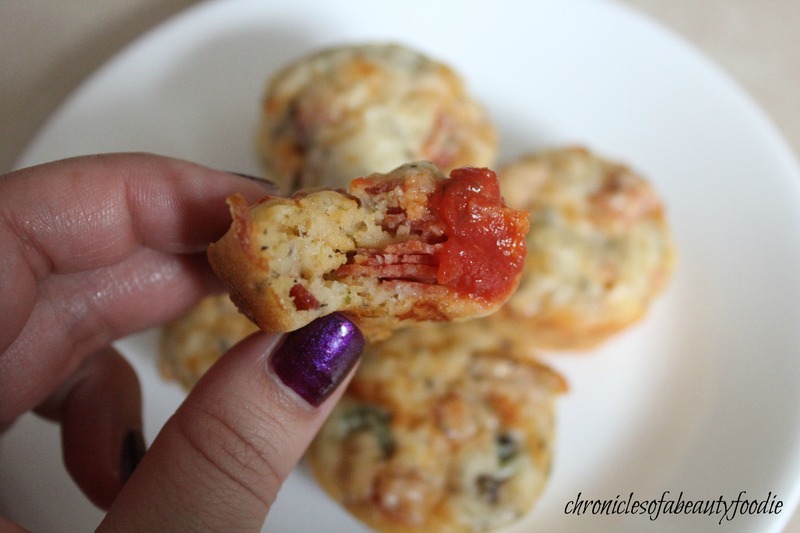 What I also love about these pizza puffs, is that they still taste just as good to me the next day. I just put them in the microwave for around 15 seconds and enjoy. *Note: You can use your favorite pizza toppings in any combination. I did one batch with a cup of diced pepperoni, and one batch with a cup of onions, mushrooms, bell peppers and pepperoni. Note that if you are going to use sausage, I recommend pan frying the sausage first. Step 1: Preheat your oven to 375 degrees, and grease a 24 cup (or two 12 cup) mini muffin pans. 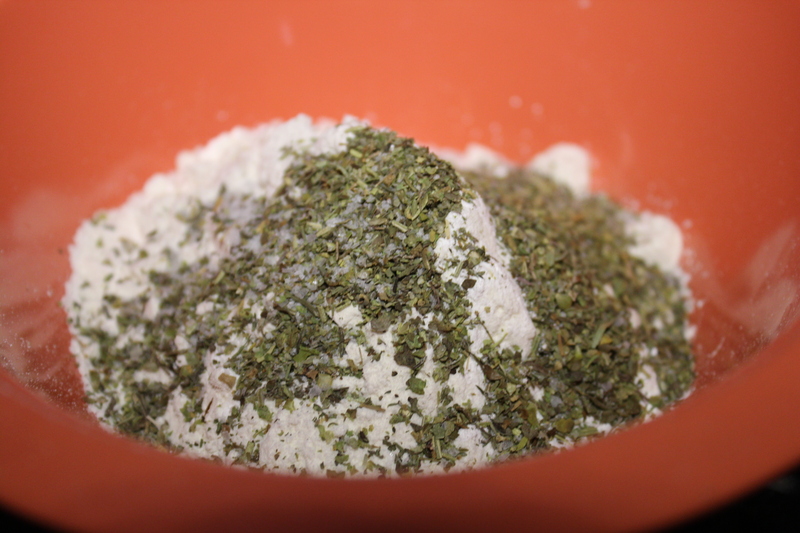 Step 2: In a large bowl, whisk your flower, baking powder, italian seasoning and salt. Then whisk in your milk and egg. 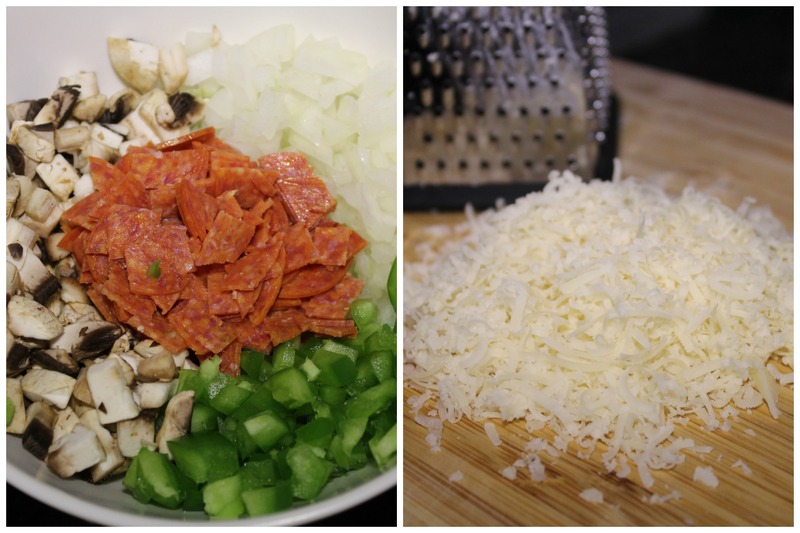 Step 3: Stir in your mozzerlla, parmesan and pizza toppings and let stand for 10 minutes. 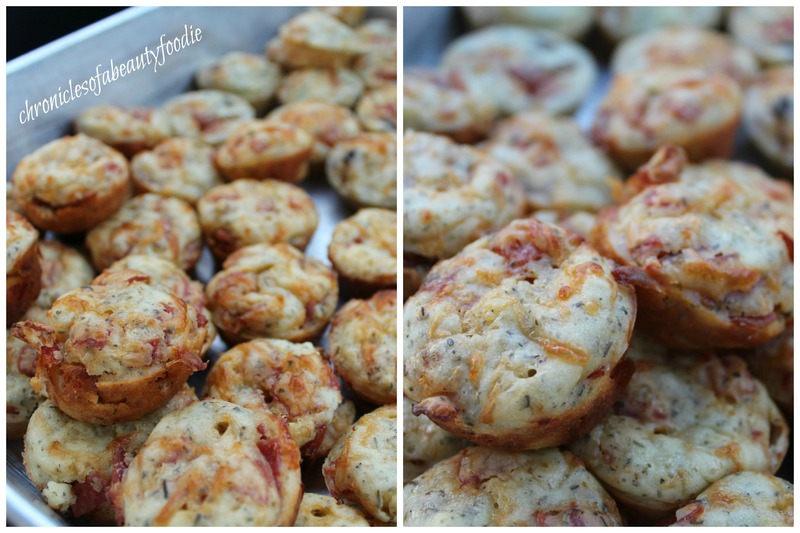 Step 4: Fill your mini muffin pans and bake for 20-25 minutes (until golden). Note that it won’t rise too much in the oven so you can fill the batter almost to the top in the mini muffin pans. Step 5: While your pizza bites bake, heat your marinara sauce in the microwave. Step 6: Once the pizza puffs are done, let them cool for a minute or two and then enjoy! One thing that I love about the colder fall and winter weather is that I feel like it’s an excuse to start experimenting with new soup recipes. 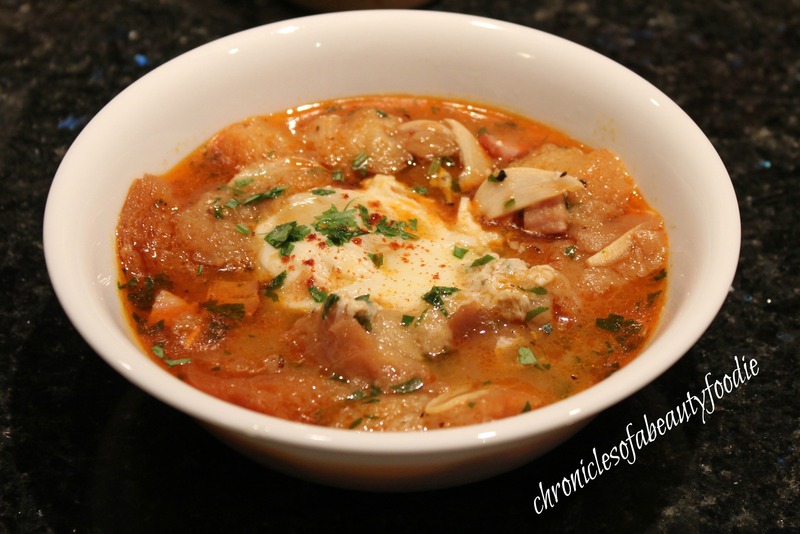 I’m not sure what it is about soup, but I absolutely love finding new and different soups to try. So with the weather cooling down, I decided that it’s the perfect opportunity to start my hunt for some new recipes to try. I was browsing on youtube and found this recipe from FoodWishes.com. I must admit, once I saw the word “garlic” I was sold. 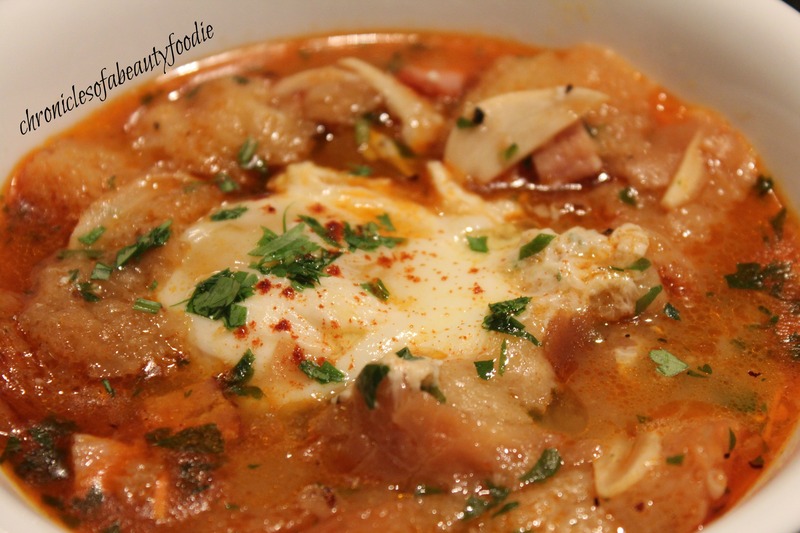 This recipe is so simple, but so good. Perfect for a nice night in. Hopefully, you like it as much as I do. 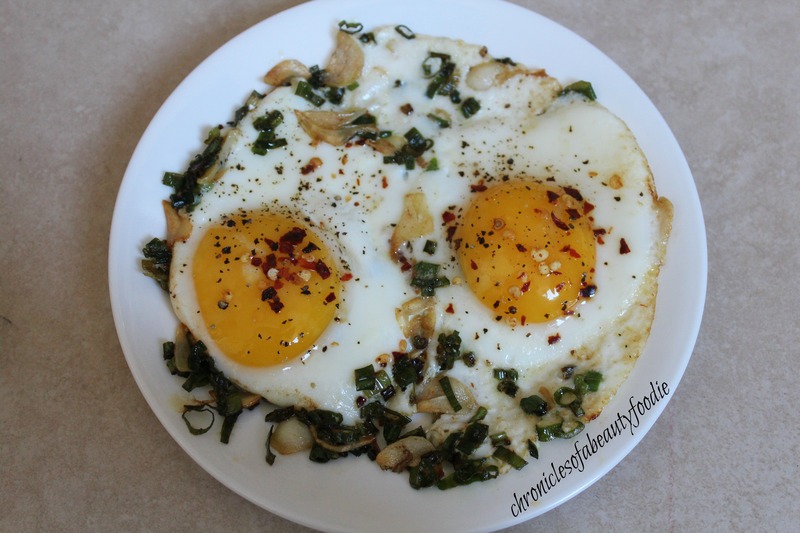 Lately I’ve been trying to find new ways to repurpose my morning eggs. Don’t get me wrong, I love my scrambled eggs just as much as the next person, but sometimes I just want to change things up a bit. So I was surfing on pinterest for some new recipes to try, and came across this recipe. Reading through it I thought to myself, how can you go wrong with garlic and butter, so of course I had to give it a try. I tweaked a couple of things just to my own preferences, but I must say I was quite satisfied with the end product. Hopefully, you will be too. Enjoy! Step 1: Preheat a small non stick pan on medium heat. 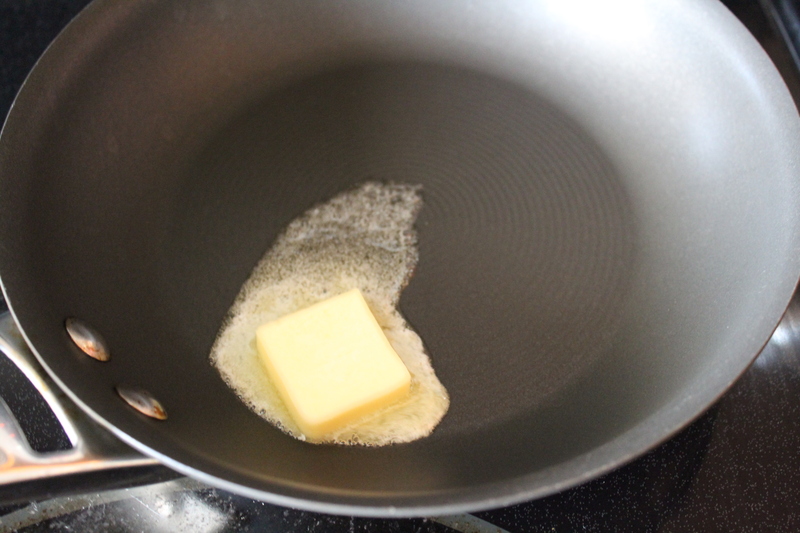 Step 2: Add the butter and cook until browned (3-4 minutes). 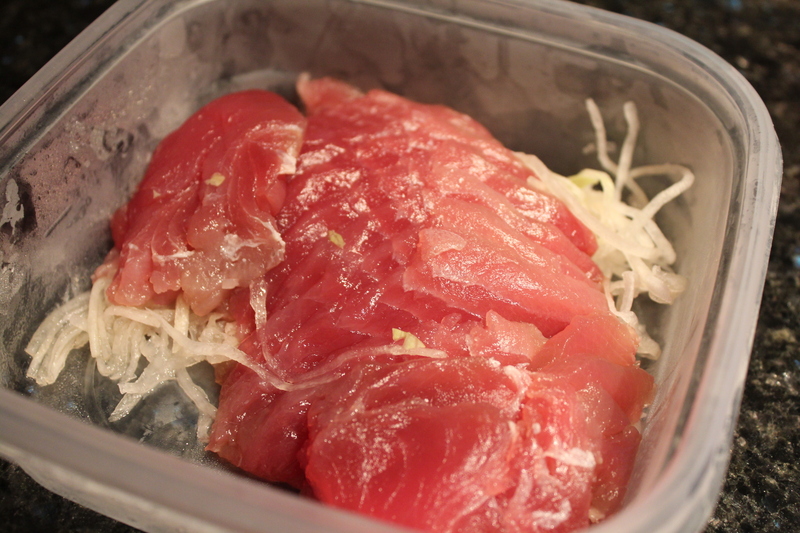 Step 3: Reduce your heat to medium low, and add the garlic and onions and cook until garlic is golden brown (2-3 minutes). 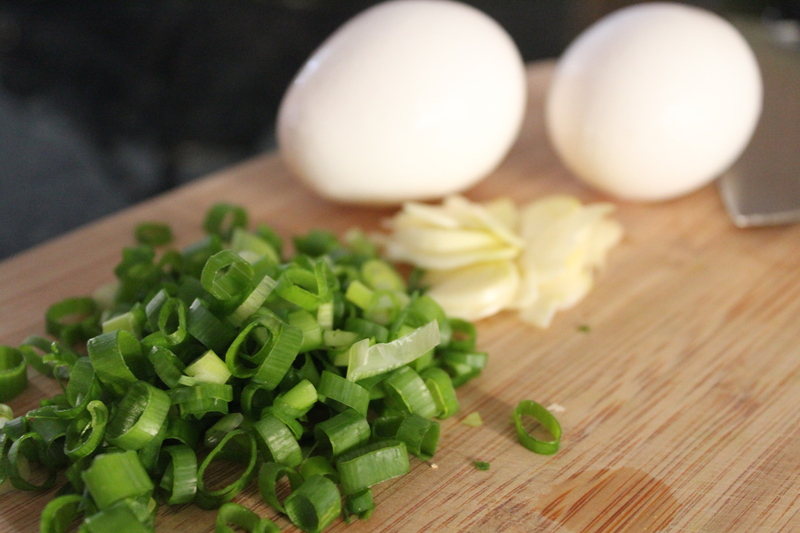 Step 4: Add your eggs and sprinkle with your salt, pepper and red pepper flakes. Cook the eggs until the whites are set. 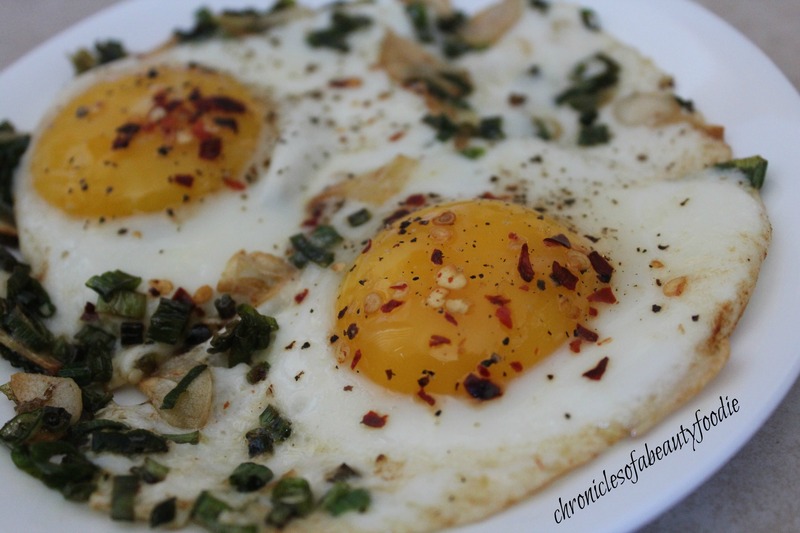 Since we want the yolks to still be runny, you can poke some holes in the whites or hold a pot lid over the eggs to help speed up the cooking process of the whites. Step 5: Using a spatula, carefully remove from the pan and plate. 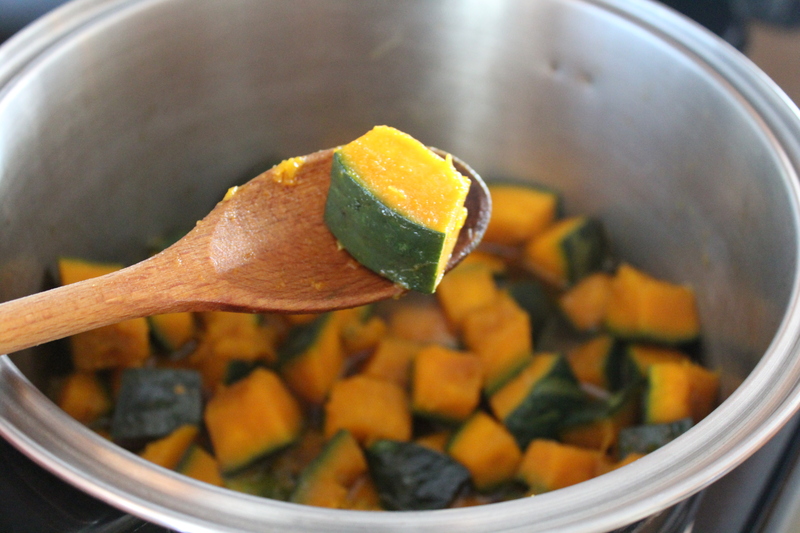 As discussed, I’m happy to introduce a new monthly post highlighting some of my favorite foods. To kick things off I decided to start with cold desserts. Given that the hot summer weather is here, I figured it would be a good theme to start with. 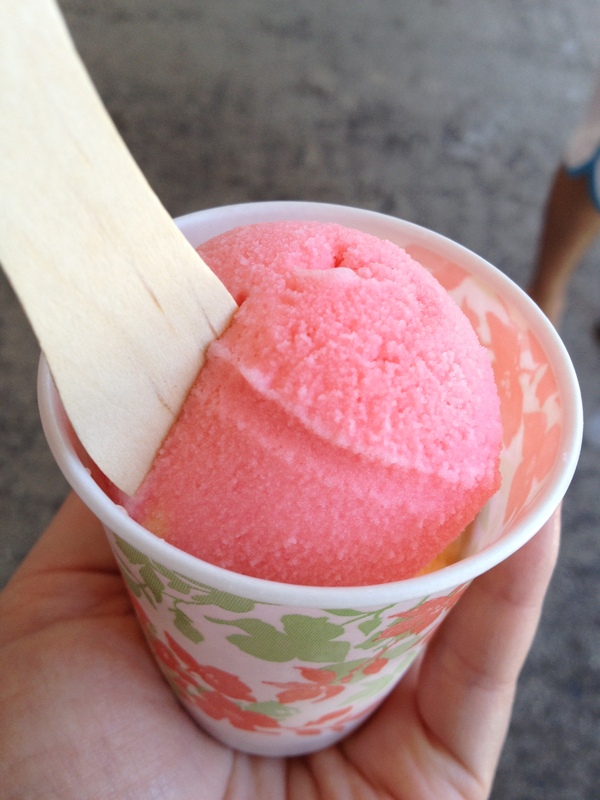 This guri guri ice cream is a local favorite. Every time I make it out to Maui, it’s a must stop. The shop only sells two flavors, pineapple and strawberry, but don’t let the simplicity fool you because the ice cream is heavenly. The ice cream itself is more of an ice cream and shave ice hybrid. It’s not as heavy and thick as your typical ice cream, but more like a creamier version of shave ice. It’s so light and refreshing, and a perfect end to a hot day in the sun. 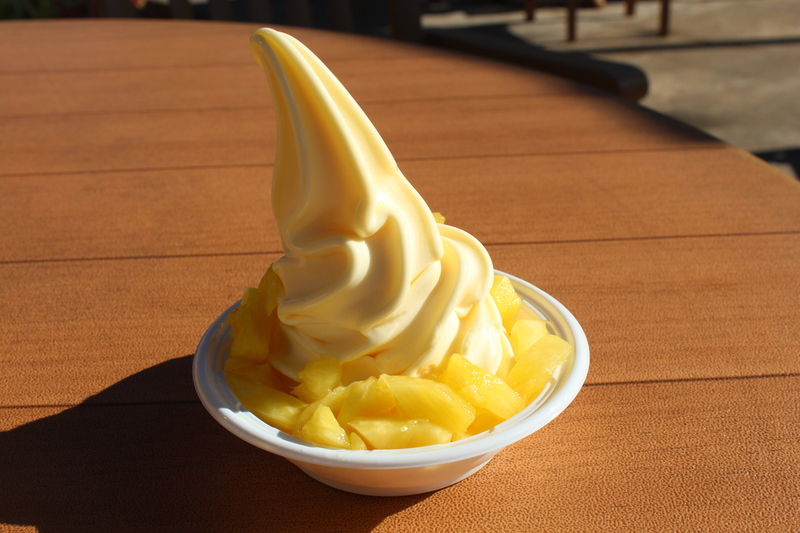 Oh Dole Whip, pineapple soft serve goodness. 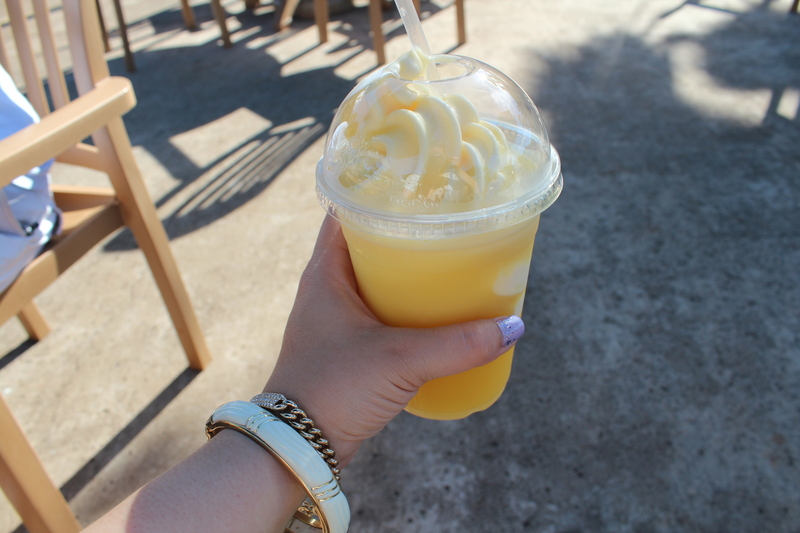 What I love about this dole whip is that it taste so fresh and refreshing, like someone went pineapple picking in the morning to make it just for you. 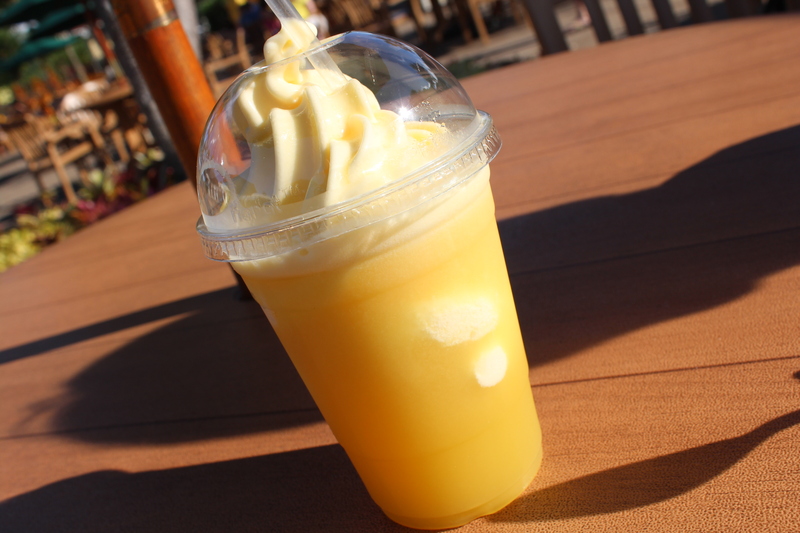 While you can find Dole Whipe at other locations, like Disneyland, there’s nothing better than the original at Dole Planation. What makes Dole Plantation’s Dole Whip unique is (1) they offer it in a variety of ways (in a bowl, in a cone, with pineapples on the side, in a float, etc. ); and (2) it’s made fresh with the pineapples from the plantation, or at least that’s what I like to think. Whenever I’m taking a trip out to the north shore, this place is a must stop on the way back. 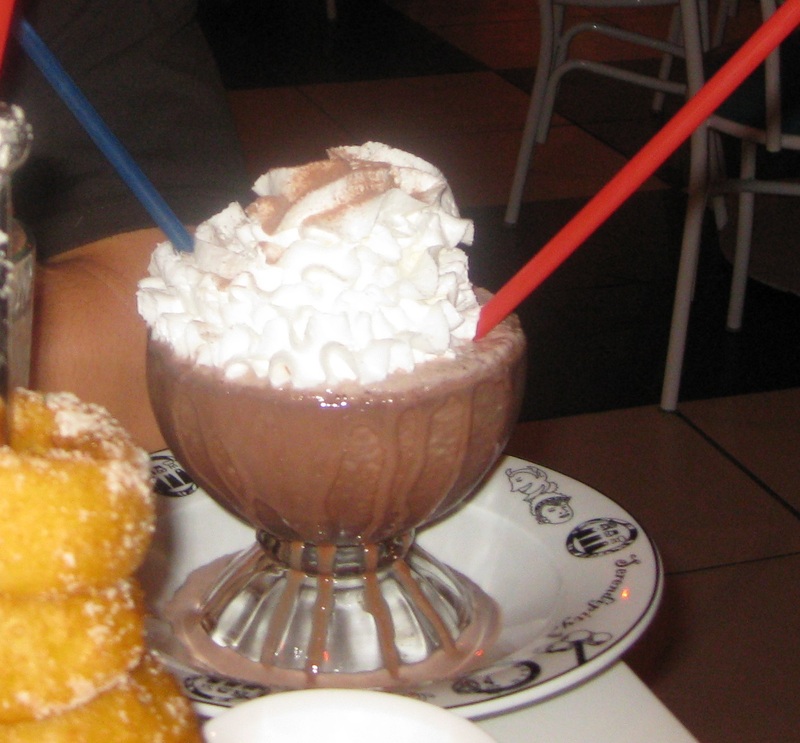 I’m sure by now most of you have heard of Serendipty’s frozen hot chocolate. There’s a location in Las Vegas and NYC (the original). Since I’ve only been to the Las Vegas one, that’s the one I’ve included above. I know this may sound weird, but it taste just like what you would imagine frozen hot chocolate to taste like, chocolate creamy goodness. The texture is like a milkshake, but not one of those super thick milkshakes. Each frozen hot chocolate is topped with a generous amount of whip cream and chocolate shavings. The portion is pretty big, so you can definitely share one with a friend or go wild and have a whole one to yourself. 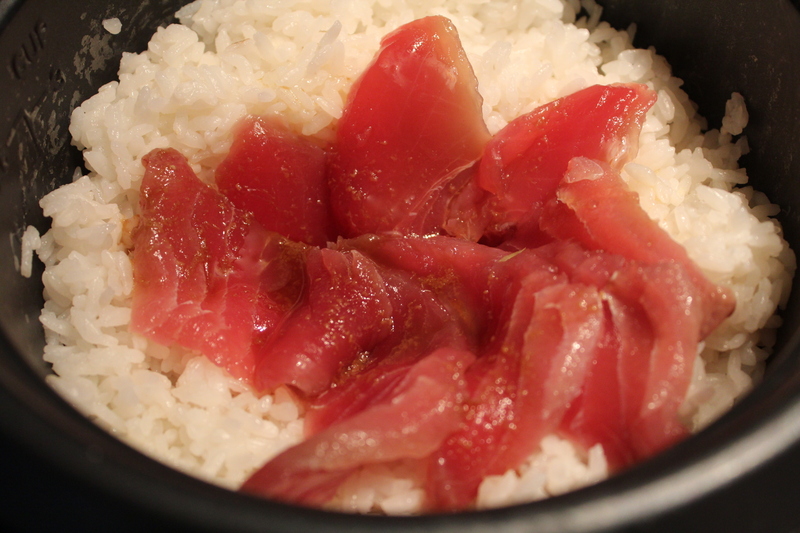 The name says it all, ono pops (in Hawaii “ono” means taste good). 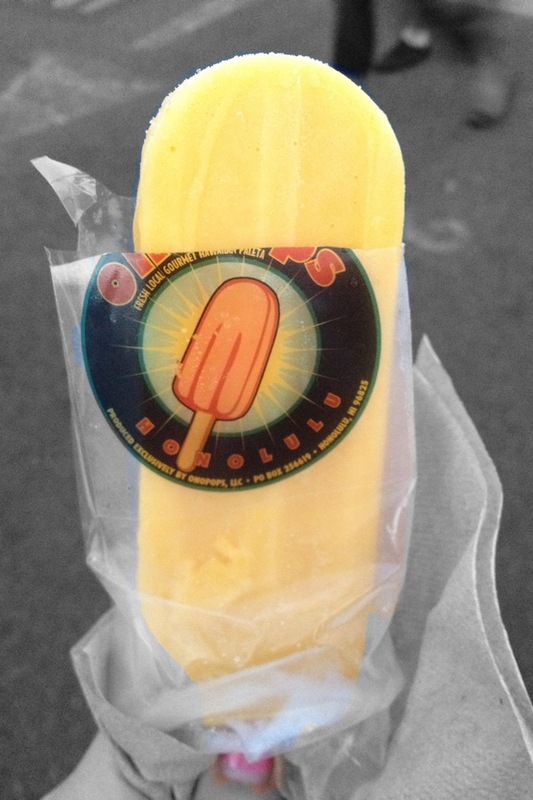 These popcicles are all homemade using local and organic ingredients, and come in a wide varaiety of flavors. There are two types of popcicles, dairy based and water based, and they’ve got everything from guava chiffon to dark chocolate chinese five spice. The popcicles are refreshing, and I love the innovative flavors. My personal favorite, though, is butter mochi. It’s creamy, dense and chewy, and taste just like butter mochi. 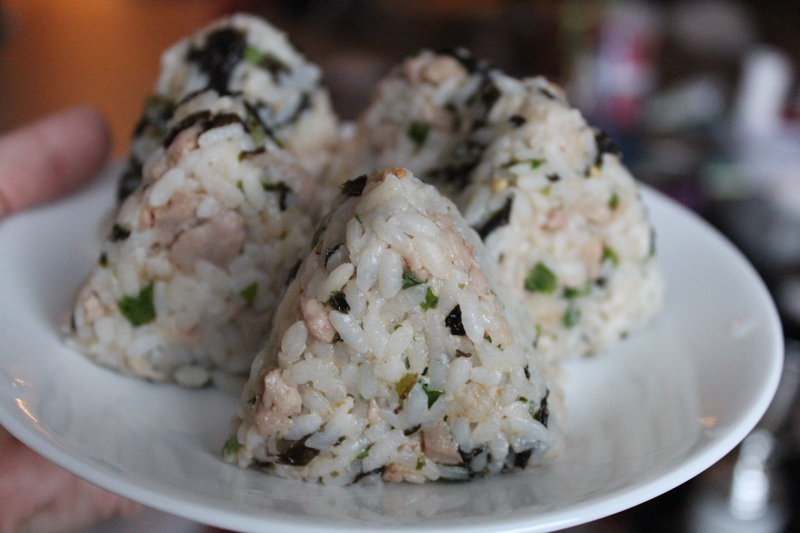 I swear when you eat it, there are small pieces of butter mochi inside, which are like nuggets of heaven in your mouth. 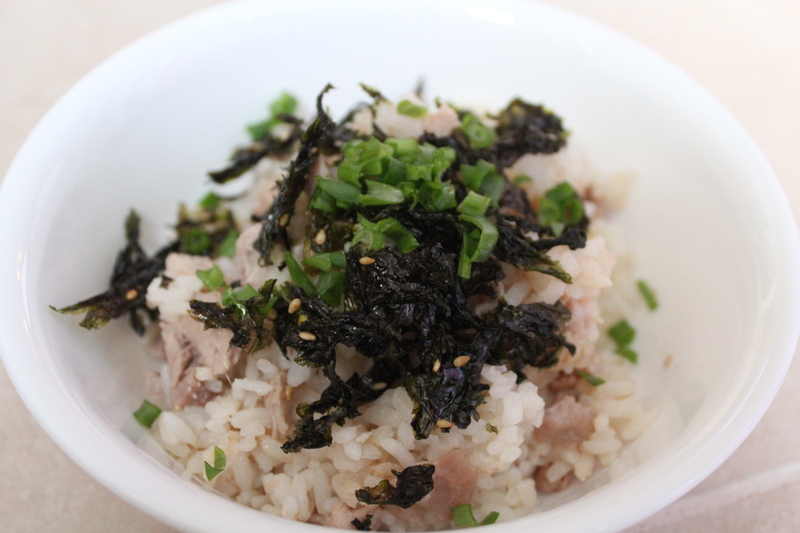 Your Kitchen is a small mom and pop shop in Kaimuki, but don’t let it’s appearance fool you. Their shave ice is the best on the island; it’s super fine and melts in your mouth as you eat it. That isn’t even the best part, though. 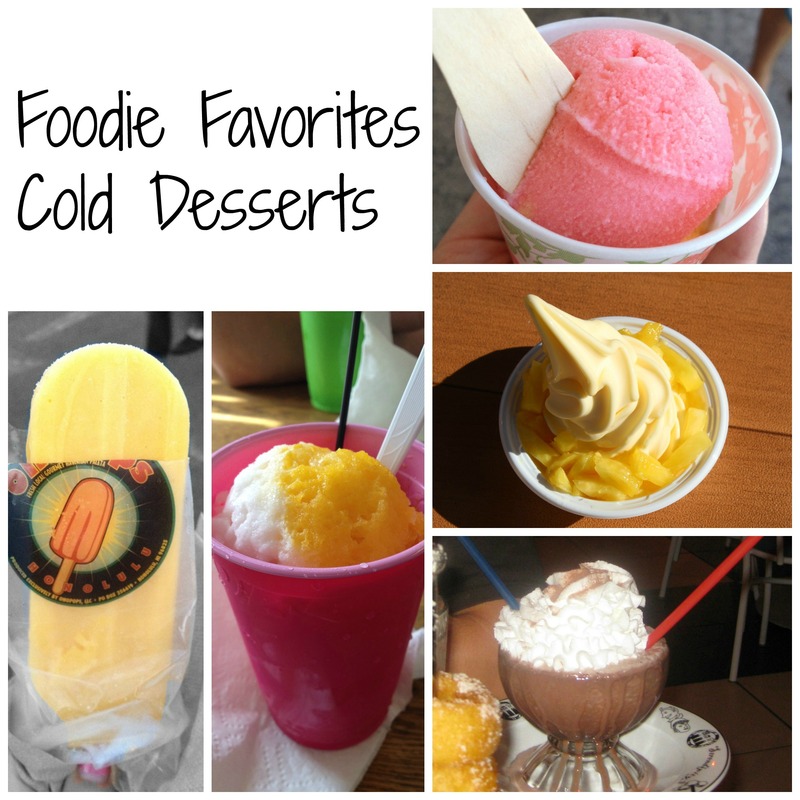 They have a selection of homemade flavors, such as lilikoi, mango, haupia, strawberry and lychee. When you eat these flavors, it taste like the real thing, none of that artificial stuff. Words cannot express how amazing it is. They offer a variety of sizes and various toppings, but my favorite is the tropical bowl. 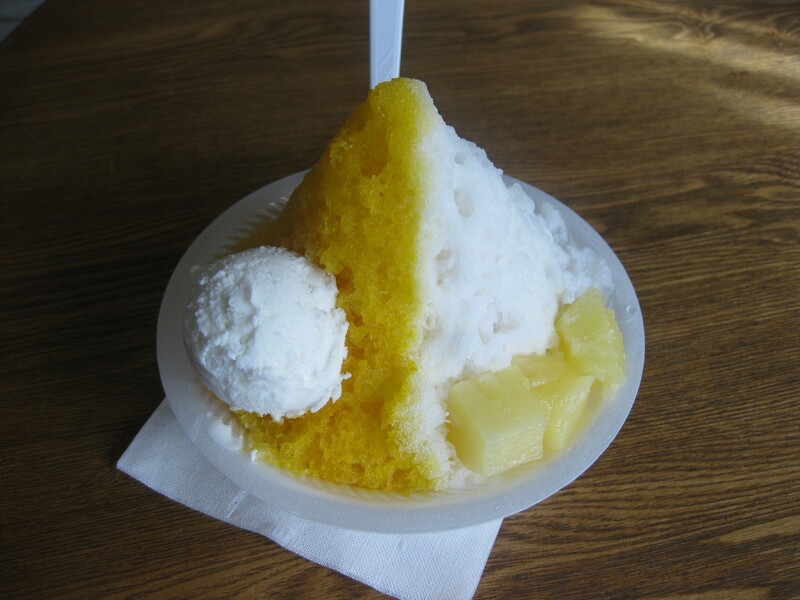 It comes with mango and haupia flavored shave ice with haupia ice cream *drool*. I feel like I’m eating melt in your mouth haupia with a side of mango every time. Lately I have just been loving tomatoes. Odd? Probably, considering up until a couple of years ago I would only eat them in sandwiches and burgers. A few weeks ago, though, I found a heavenly secret. 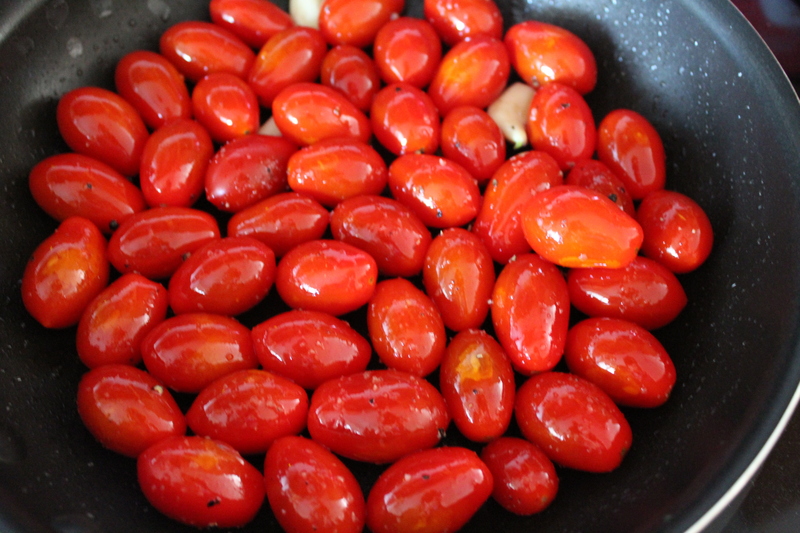 Pan sauted/roasted tomatos! Okay, is it really that much of a secret? Probably not, but it doesn’t change how awesome they are. What I love about pan roasting my tomatoes is that I feel like it intensifies the flavor and somewhat sweetens the tomato. 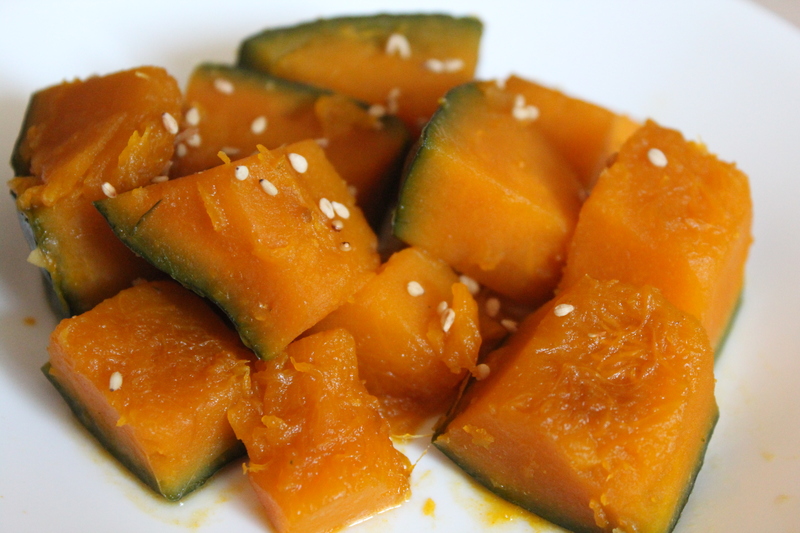 It also softens everything inside, but keeps the skin firm so they’re kind of a burst of flavor when you eat them. 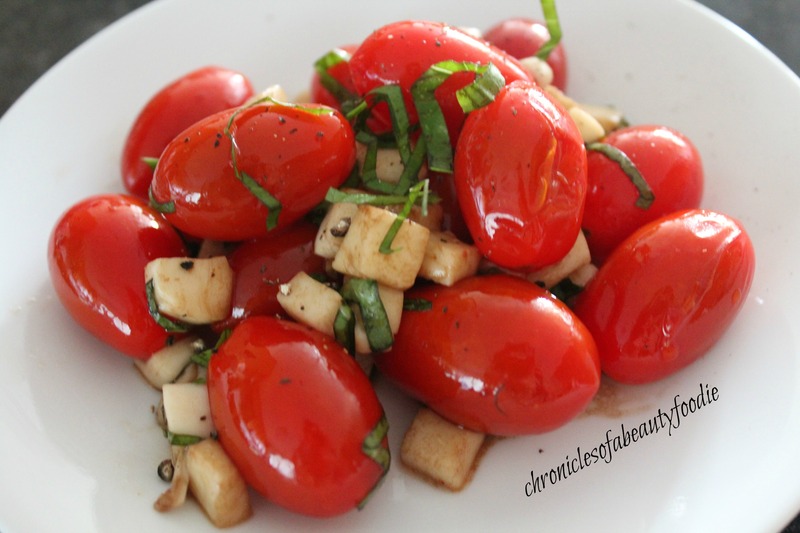 This got me thinking, what if I make a caprese salad with these pan roasted tomatos? 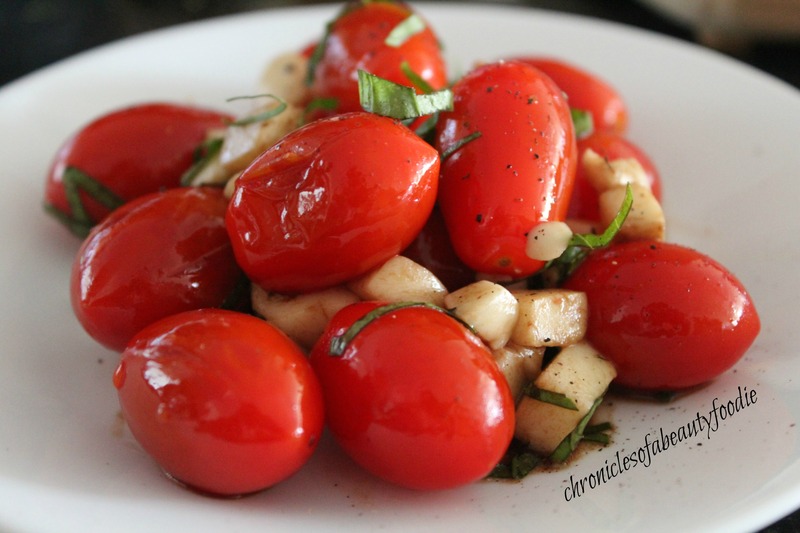 It’s like a mix between a traditional caprese salad and caprese pasta (less the pasta). Thus, this recipe was born, and let me tell you, I’m loving it. 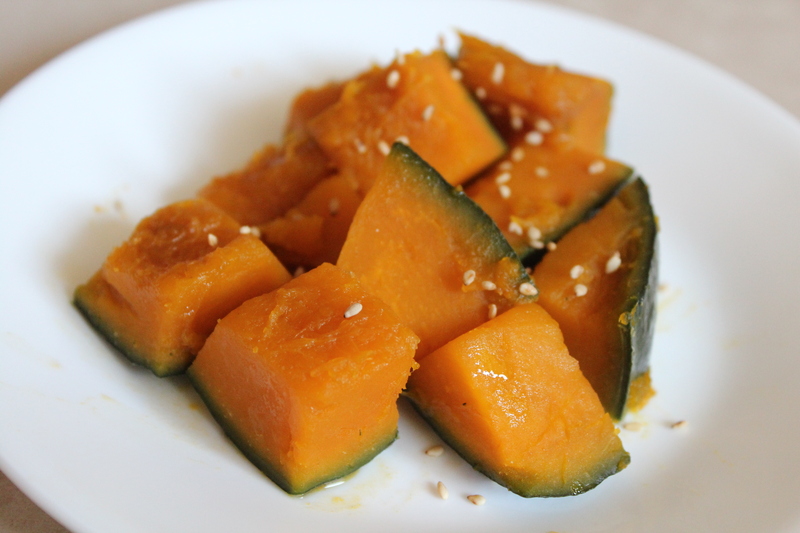 It’s quick, simple and delicious. Step 2: Add your tomatos and garlic to the pan, and season with salt and pepper. 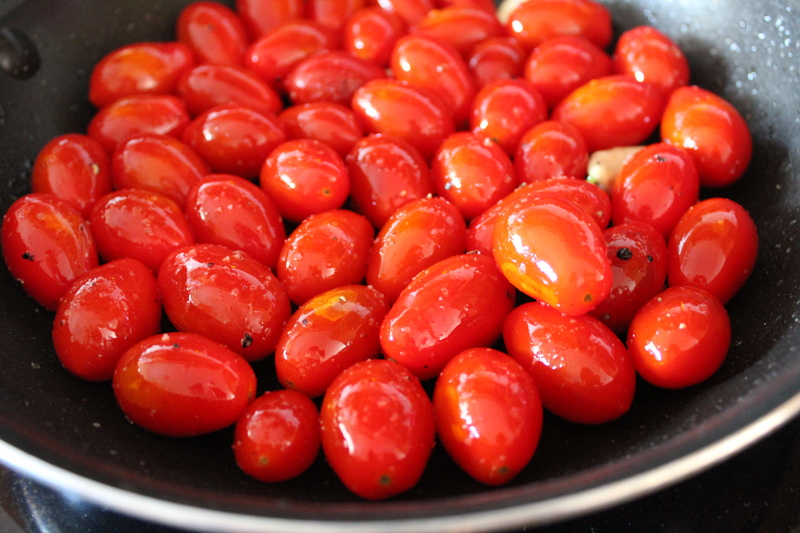 Cook the tomatos for 4-5 minutes. You want to get a decent char on the tomatos but you don’t want them all to burst. If you start to hear tomatos bursting, then they’re done. 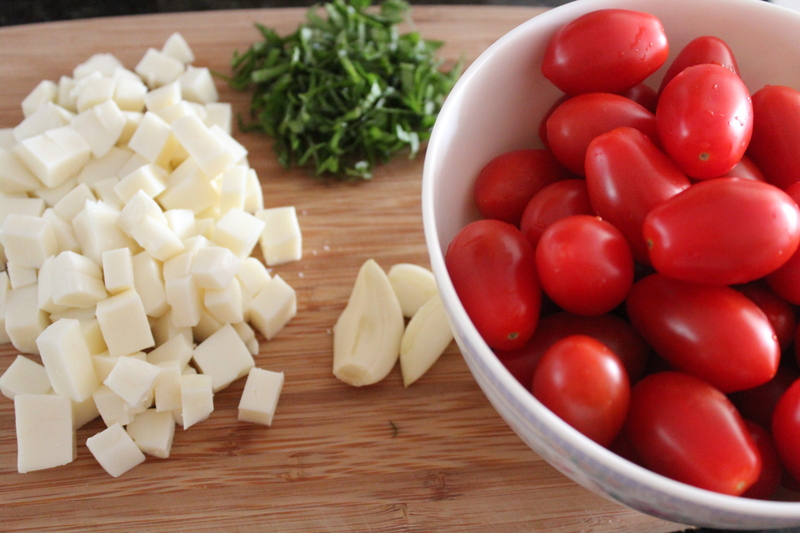 Step 3: Remove the garlic cloves, since they’ve served their purpose, and mix the tomatos in a bowl with the mozzerella, basil (reserve a couple pinches) and balsamic vinegar. 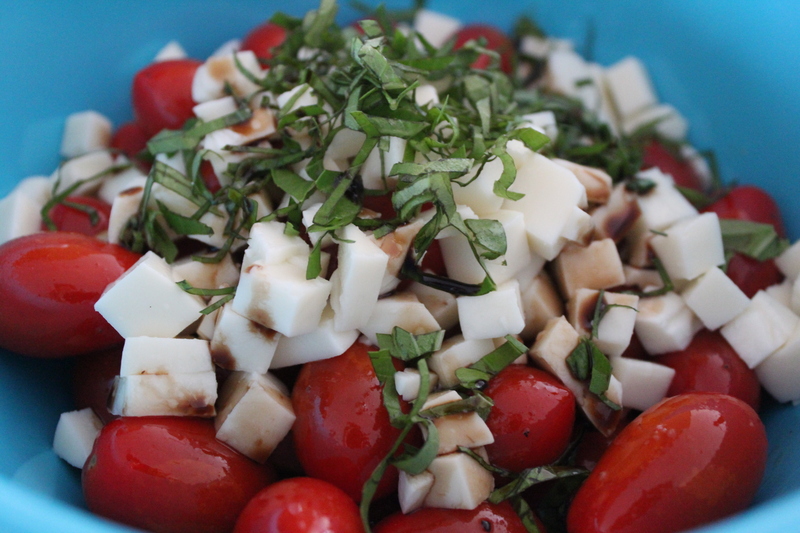 Step 4: Plate the caprese salad and garnish with basil and freshly cracked pepper, and you’re done. How simple was that!